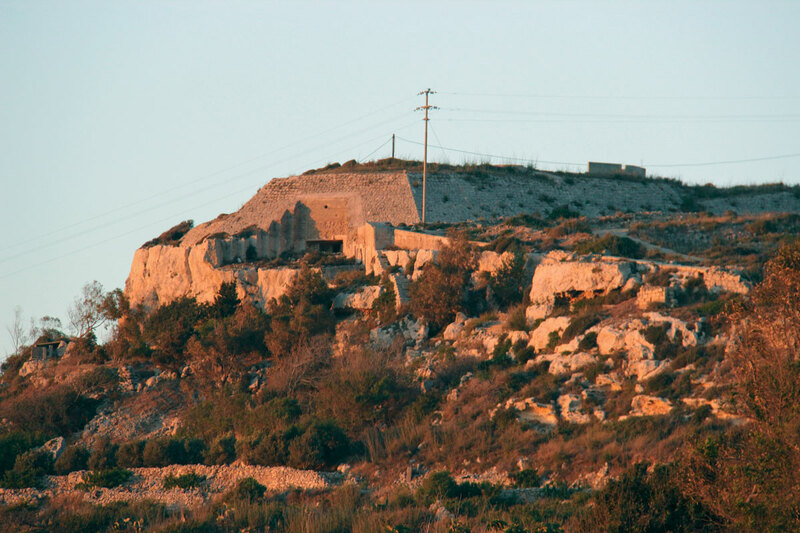 The last rays of a summer evening sun falling over the once watchful Fort Bingemma limits of Mgarr Malta. Fort Bingemma is an irregularly-shaped (polygonal), single-storey fort, 750m above sea level. The fort was protected to the north by the cliff face and on the landward side by a vertical ditch which was narrow enough to protect it from distant fire. The fort was completed in 1878 and had 3 heavy guns with an arc of fire of 210 degrees and which covered the ridges to the nort-east and the sea approach on the north-west. The hidden entrance is built on a bridge that can be lifed with chains. 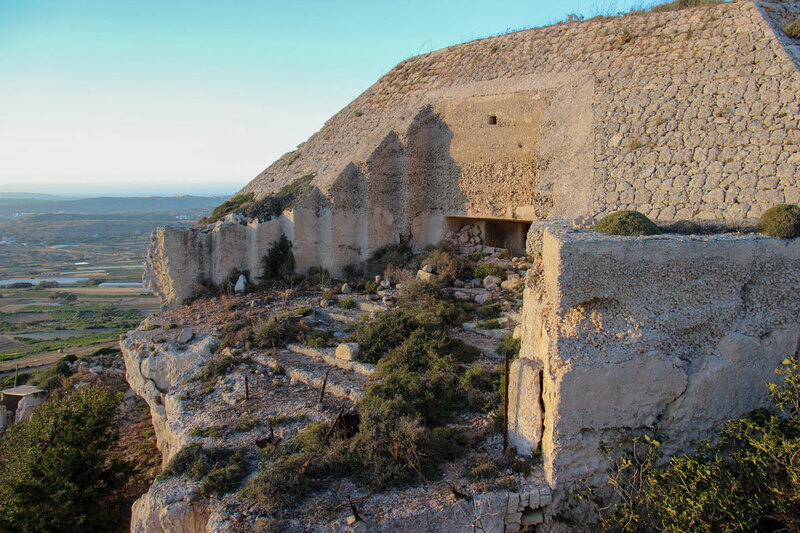 Fort Bingemma is one of three forts built a high altitude and in srategic places along the Victoria Lines The other two were found at Madliena and Mosta. Fort Bingemma from a distance. 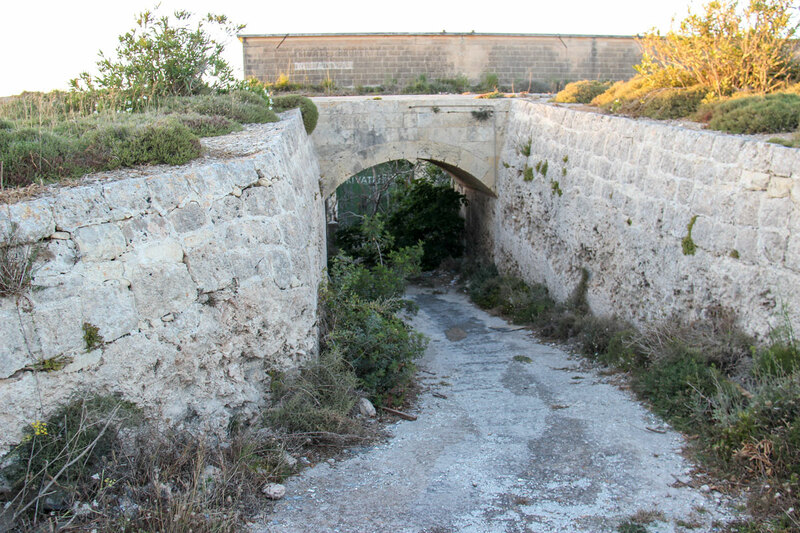 The main entrance to Fort Bingemma. Old disappearing gun pit built on top of the casemate opening onto a large salient, serrated embrasure.